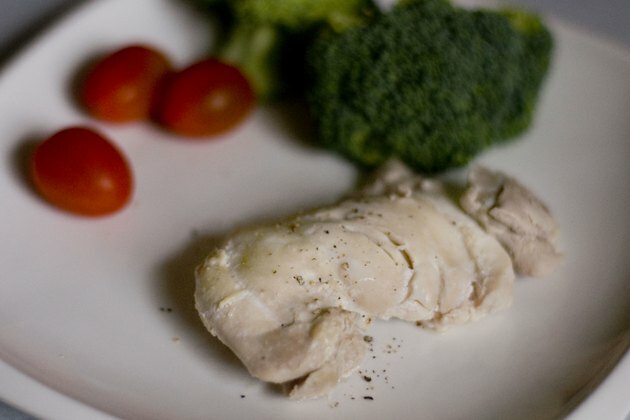 Chicken breasts are arguably the leanest and most versatile form of white meat. They go with just about any side dish, from exotic grains and mixed vegetables to whole wheat pasta. A 3-ounce breast contains roughly 30 grams of protein, is naturally low in fat, and can be cooked in about the same time it takes to read this article. Simmer cooked breasts with marinara or a light cream sauce. Or dress with herbs, olive oil and a squeeze of lime. 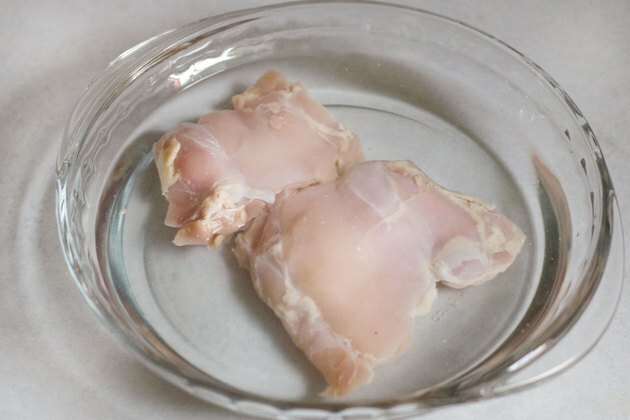 Place the chicken breasts in a single layer in the glass baking dish. 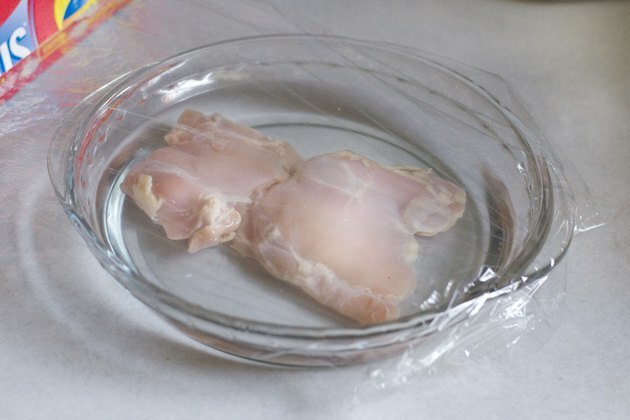 Fill the baking dish with enough water to cover the chicken breasts halfway. Cover the baking dish with plastic cling wrap. Ensure the wrap is secured tightly to prevent the escape of any air. Microwave on high for approximately 3 to 4 minutes per breast. 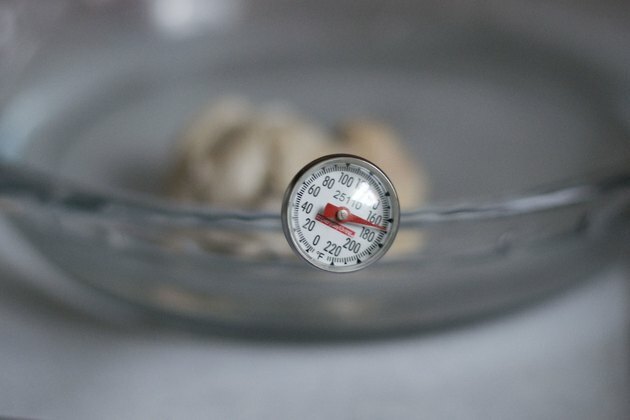 At this point, you will want to use a food thermometer to make certain the internal temperature of each breast is at least 165 F. If any of the breasts are not, microwave them 1 to 2 minutes longer. Sprinkle herbs, smashed garlic and lemon zest into the cooking water to flavor the meat, or use broth. Dice the cooked chicken, let it cool and use it for light chicken salad. Don't exceed the recommended cooking time. Overdone chicken breasts are rather unforgiving. 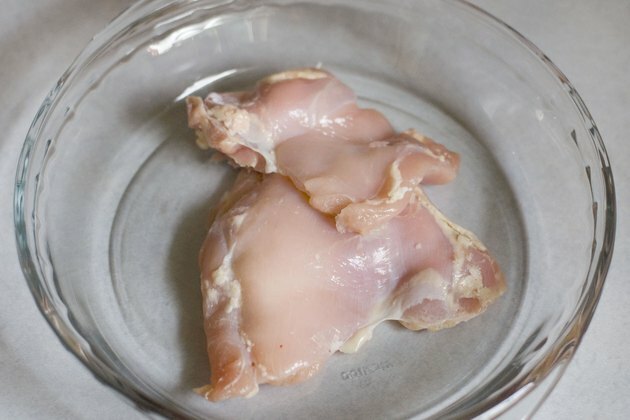 Return any chicken breasts that are still pink on the inside to the microwave; cook them a minute or two longer.